Are you a laptop note-taker? Or more of an analogue man? Now, with the help of luxury stationery brand Montblanc’s latest gadget, you can be both. The Augmented Paper, a new writing innovation launched by the German brand earlier this month, allows handwritten notes and sketches to be transferred from paper to a mobile device with just the press of a button. Simply open the black Italian leather case, put the StarWalker ballpoint pen to paper and let the built-in tech convert your scribbled musings to on-screen text. The “my dog ate it” excuse is officially dead. Available at Montblanc, priced £530. Want a car with serious poke (that’s not a Porsche)? Try the new Audi TT 400PS, the most powerful TT ever to enter series production in the UK. Using a 2.5-litre TFSI five-cylinder engine, the new TT promises a sub-four-second 0-60mph capability, a potential 174mph top speed and some head-turning snarl. Not to mention a frame that’s 26kg lighter than its predecessor. Swit swoo. Priced from £51,800. For more information see audi.co.uk. What do you get when you cross a sports car with a bicycle? 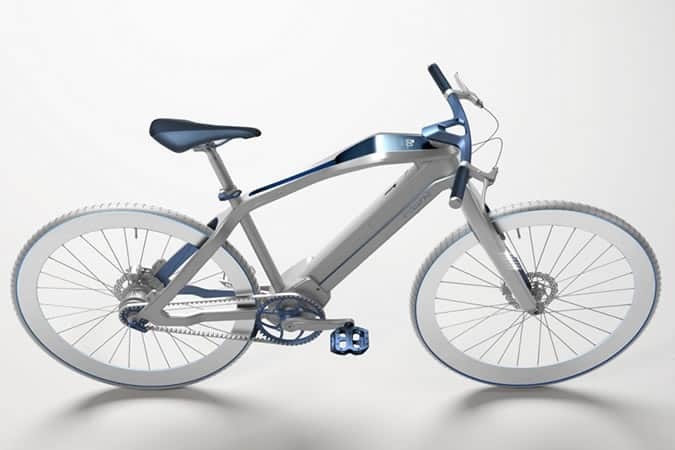 Not a joke, but E-voluzione – the latest electric bike from Italian transport design studio Pininfarina. Created in collaboration with Netherlands-based bicycle builders Diavelo, E-voluzione brings Pininfarina’s near-100 years’ experience in designing sports cars for the likes of Ferrari to bear on the humble bicycle. The result? A super-slick, state of the art e-bike that conceals its battery, motor, lighting and display all within its feather-light (16kg) carbon frame. Your commute just got a whole lot more stylish. And speedy. Available soon at Pininfarina, price TBC. With British property prices at a premium, we’ve never had to pay so much for such little space. Praise be then, that Newcastle-based designer David Irwin’s latest creation helps you make the most of it. Designed exclusively for Case Furniture, the Narin chair is lightweight, collapsible and can even be hung up on a wall. Available in solid oak, a combination of high-grade birch ply and oak or a combination of walnut veneer and oak, it’s the affordable space-saving chair that doubles as wall art. Available at Case Furniture, priced from £265. As pursuits go, shopping for watches probably isn’t the most socially responsible, heck – it’s not even fiscally responsible. But the latest release from Washington DC-based watch brand Eone bucks the trend with a design that not only looks good, but does good too. Each purchase of the Bradley x Kilimanjaro Blind Trust timepiece – which allows wearers to both see and touch the time – will help blind children in East Africa read, write and learn by either repairing a Brailler device (a braille typewriter) or providing a year’s worth of Braille paper. Which is a lot more than you can say for a Big Bang. Available for pre-order from 17 October at Eone, priced £299. Mickey Mouse might not fit the traditional profile for a style icon, but designer Christopher Raeburn has never been one for thinking inside the box. Launching just in time for London Fashion Week, Raeburn has collaborated with the cartoon giant to reimagine everyone’s favourite talking mice in the shape of sleek bags that can be worn two ways. Made from ethically sourced Nappa leather and European milled indigo denim, this is one family of mice we won’t be exterminating. Available at Christopher Raeburn, priced from £375. Thought stoves were a bit old hat? Too converted barn in the Cotswolds? Well, think again. French designer Philippe Starck – the poster boy for democratic design – has unveiled what’s probably the sleekest stove we’ve seen. Created in partnership with Speetbox, Starck’s modular stove not only heats (the central stone-filled module stores warmth and gradually diffuses it for up to 24 hours after the stove has been turned off – that’s compared to just a few hours for a fireplace or conventional wood-burning stove), it also allows you to add extra modular cubes for storing things like books, logs and other items, each of which can be easily stacked on top of one another or positioned side-by-side to optimise space. Genius, quite frankly.